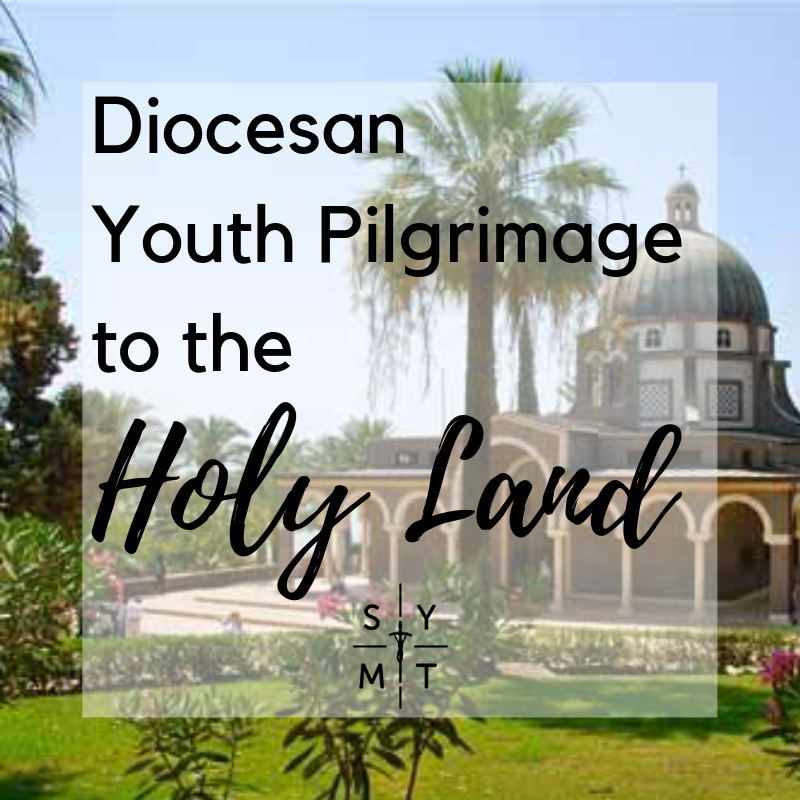 An exciting opportunity to travel on pilgrimage to the Holy Land with Bishop Mark Davies and other young people from around the Diocese of Shrewsbury. The Pilgrimage is aimed at Young People between the ages of 16 and 25. It has been highly subsidised thanks to the generosity of a Trust that has been established in the Diocese to enable young people to visit the Holy Land. During the Pilgrimage you will visit the many holy places associated with the Lord's ministry, walking in His footsteps but there will also be opportunities to meet with young Palestinian Christians and learn directly from them what it is like to be a Christian in The Holy Land today. I am very happy to introduce our fourth Diocesan Pilgrimage to the Holy Land. The title of our pilgrimage in 2019 will echo those words first heard by the Sea of Galilee, “Follow me” (Mt. 4:19). In this “Year of Holiness” being celebrated in Shrewsbury Diocese we are reminded that we have all received the call in Baptism to live the fullness of the Christian life and the perfection of love. As pilgrims we will be reminded how each of us has received the invitation to follow Christ as we re-trace his footsteps on earth from Bethlehem to Jerusalem to Galilee.